Background of Kidepo valley national park Uganda-The 3rd best Africa safari destination!! Africa just like you imagine though not common in the 21st century only remained existent in this one Uganda safari tour destination. The word Kidepo comes from a Dodoth verb “akidep” meaning “to pick up” which can literally be described as telling you to come and pick up the true African savanna wilderness during your safari in Uganda. A range of wildlife species thrive in Kidepo National Park which makes it attractive for Uganda safari undertakers. The splendid valley of Narus poses a rich ground for great fauna concentrations as it always contains water points. The wildlife in Kidepo include among others; the 12 antelope of species including; lesser kudu, greater kudu, Guenther’s dik-dik and mountain reed buck which only exist in Kidepo on Ugandan standards along with other common antelope species like eland, Jackson’s hartebeest, klipspringer, common duiker, Defassa waterbuck, bohor reed buck and bushbuck. Kidepo also contain five species of primate such as patas monkey, olive baboons, vervet monkeys among others. A range of 20 species of predator thrive in Kidepo including; bat-eared fox, black-backed jackal, cheetah, caracal and aardwolf which are endemic to Kidepo on Ugandan standards along with other common predators like spotted hyena, side-striped jackal, lion, leopard, genets, mongooses, mustelids and small cats. 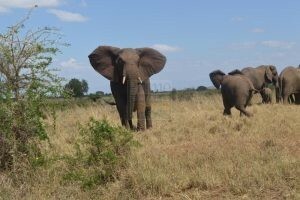 This makes Kidepo thrilling to encounter while on safari in Uganda. Kidepo National Park contains a range of birds that count to 463 confirmed and 26 unconfirmed bird species. This rank Kidepo National Park as second in bird count to Queen Elizabeth National Park which has 600 species of birds. Interestingly to encounter is that 60 of these bird species only thrive in Kidepo National Park on the standards of Uganda. There are 56 birds of prey of which 14 of them are endemic to Karamoja region including; Verreaux’s Eagle Egyptian Vulture and Pygmy Falcon. The park also has 56 Raptors species including the pygmy falcon, dark chanting goshawk, secretary bird, bataleur among other types of vulture. Other Kidepo specials include; Kori bustard, fox, Ostrich, white billed go-away bird, white eyed kestrels, carmine, red and yellow and black-breasted barbets, little green and red throated bee-eater, Abyssinian scimitar bill, rufous chatterer, d’Arnauds, Karamoja apalis, red-billed, northern brownbul, chestnut weaver, golden pipit, yellow billed and Jackson’s horn bills, purple grenadier, white headed buffalo weavers among other bird species. 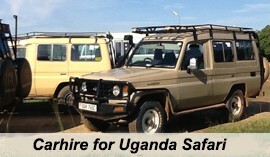 These offer great attraction to birders on Uganda safari. Kidepo National park is comprised of impressive landscape which is very attractive to encounter on Uganda safaris. Stretching from the low-lying Narus and Kidepo valleys marked by Kanangorok hot springs to the raised landscapes of lomej hills and Morungole Mountains, Kidepo National Park has got unique scenery that is worth an attraction. The indigenous Karimojong thrive in the Morungole Mountains and still live in their traditional setting with practices that are still alive while the pastoralist Karimojong live a nomadic lifestyle and their life is still centered around the occupation of cattle keeping. These people have impressive cultural performances, handicrafts, values and customs, traditional huts (Manyattas) and oral heritage that make them worthy encountering while on safari in Uganda. 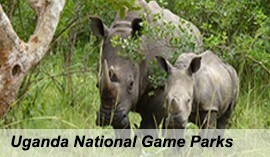 Considering a wide range of wildlife, Kidepo present rewarding game drive encounters for travelers on safaris to Uganda. The wilderness is still undisturbed and wildlife is seen thriving in its natural ecosystem setting. The activity exposes you to various wildlife species among which include; buffalo, elephant, bush duiker, bushbuck, bush pig, lion, leopard, Kavirondo bush baby, bat-eared fox, black-backed jackal, cheetah, caracal, aardwolf, giraffe and zebra. The activity is mostly carried out across the Narus Valley where animals tend to congregate to graze near water points which in turn also attracts predators to range from within. It is better done in the morning at 06:30am, in the evening at 04:00pm and at night commencing at 7pm local time. 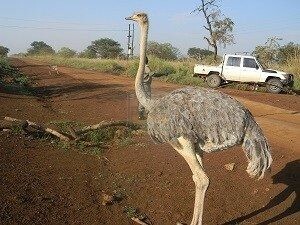 The sights of ostrich exist across Kidepo valley close to South Sudan Boarder. The game viewing encounter in Kidepo National Park can be done all year round though the dry season which is November to February offers great rewards as wildlife converges around water points and predators stay close to their prey. In the wet season, animals tend to disperse to from valleys to the adjacent raised landscapes which at times become hard to spot them. 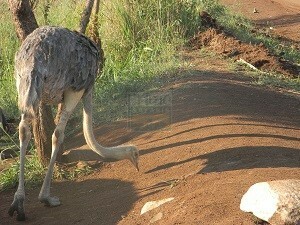 Birding encounter is also done in Kidepo National Park. The park has 463 confirmed and 26 unconfirmed species which forms a good ground for birding experience while on Ugandan safaris. 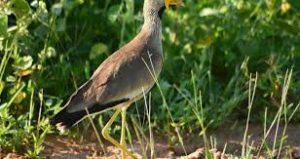 Birding is done along the Narus and Namamukweny valleys where you have opportunities of spotting; Abyssinian Roller, Abyssinian Ground Hornbill, purple heron and Clapper ton’s Francolin among others. The Kidepo birding encounter can be done all year-round though March – April offers more possibilities of spotting Kidepo endemics. Migratory birds tend to be available from November to April. Birding commences at Apoka Rest Camp. 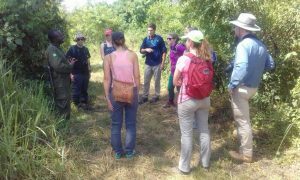 Nature walks allows you to explore Kidepo National Park on foot. There are various trails that are designed to enable you maximize this experience. The trek to the lomej hills commences at 7am and lasts about 4 hours while the short-guided walks along the Narus Valley takes about 2 hours stretching for over 5km radius from Apoka. The walks through Kidepo River Valley offers impressive views of the borassus palm forest while the Namamukweny valley can be reached with in a period of one hour from Apoka. Mountain hiking safaris in Uganda on the high striking Morungole mountain 2,749m (9,019ft) high above the open sky within Kidepo Valley national park Uganda near the border with Sudan covered by rugged terrain for the daring climbers of the excruciating but rewarding mountain. 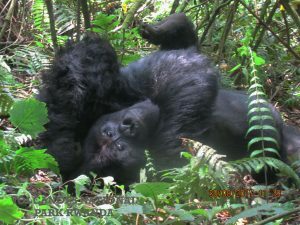 The mountain hike is more rewarding accompanied with nature walks on the splendid Kidepo river valley between banks of borassus palm forest and an amazing visit to the mountain people. A Uganda safari tour undertaker can also encounter the local communities by taking a community tour of the pastoralist Karimojong exploring their traditional Manyattas, handicrafts, practices and customs, cultural performances among other. You can also take a whole day encounter to Morungole Mountains to encounter the indigenous Karimojong that thrive in the upper layers of this mountain after they were disposed from their traditional lands by the migrant tribal groups. 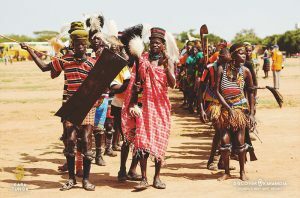 Uganda Cultural safari tour encounters with the friendly natives of the region is a true reward of an African experience as you visit a “manyatta”-the home setting of the Karamojong where the home is surrounded with sticks attached with mud. The roads to Kidepo are in bad state especially in rainy seasons which requires 4×4 wheel drive in good mechanical conditions. The commonly used road is Kampala-Karuma-Lira-Kotido-Kaabong-Kidepo about 705km 12-hour drive. During this safari one should organize to sleep in one of these towns most probably at Chobe near Karuma in Murchison falls national park. After the tour the Kidepo-Kaabong-Kotido-Moroto-Sironko- Mbale-Kampala route is better such that you get a glimpse of the other part of the country through the marvelous Sipi falls and Mountain Elgon. The roads in Kidepo are substandard and therefore 4WD cars are essential. Kidepo can also be accessed by Air. Scheduled flights are operated by aero link to Kidepo from Entebbe International Airport. Other charter carriers offer the Air transfer on demand for either Entebbe or Kajjansi to Kidepo. Apoka Safari lodge is an upmarket accommodation establishment in Kidepo Valley National Park. It is a luxury setting in the remote wilderness of Kidepo located on a picturesque kopje overseeing the Narus River valley the epicenter of the park’s game viewing. It comprises of ten distinct cottages that are self-contained with inbuilt bath facilities and a terrace to chill at. These cottages are also ideal for honeymooners on Uganda tour. The lodge has a rock swimming pool making it unique. The lodge also has a restaurant and bar. This is a budget facility with sixteen self-contained chalets and a hostel consisting of fourteen Bandas each having 2 beds; the Bandas are actually not self-contained. The facility has a camping ground where the visitors can coordinate their camping arrangements thus carrying own tent and other camping gear is advisable. Guests are recommended to carry enough food as well as drinks to last them throughout their stay within the park. 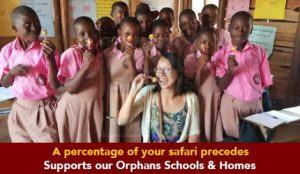 Cooking on this Uganda safari may be arranged with the camp staff. It’s located over a small distance from Apoka. This campsite is a budget facility has firewood and clean drinking water. 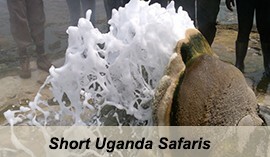 It offers self-catering services. Nga’Moru Wilderness Camp is located on a hill top offering impressive sights across the Narus Valley along with savannah plains that stretch up to the towering Morungole Mountains. It has two self-contained cabanas. And each cabana can house up to four single beds. Three safari tents with a thatched roof are available to provide a cozy relaxing atmosphere with the capacity of two occupants. 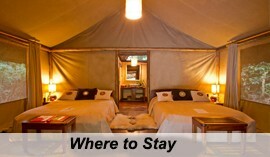 The tents are self-contained with basic units. 20 species of predator thrive in Kidepo including; bat-eared fox, black-backed jackal, Cheetah, caracal and aardwolf, 12 antelope of species including; lesser kudu, greater kudu, Guenther’s dik-dik, mountain reed buck, common antelope species like eland, Jackson’s hartebeest, klipspringer, common duiker, Defassa waterbuck, bohor reed buck and bushbuck. 5 species of primate such as patas monkey, olive baboons, vervet monkeys among others.